Whoa what a long title but I hope I have your attention. 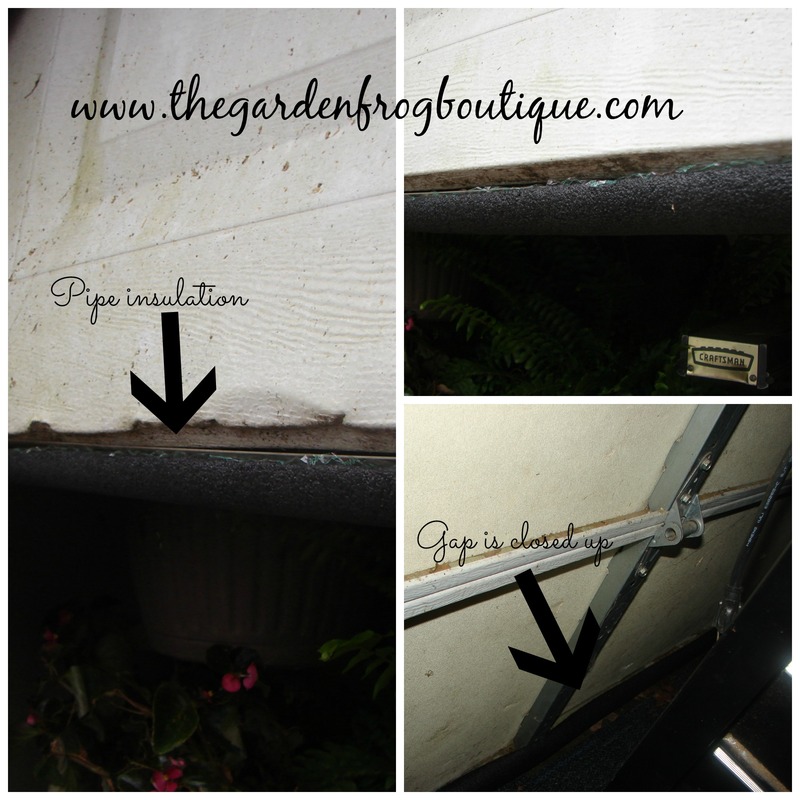 I have found a simple and cheap way to temporarily fix the gap on your garage door when the seal rips and/or falls off. 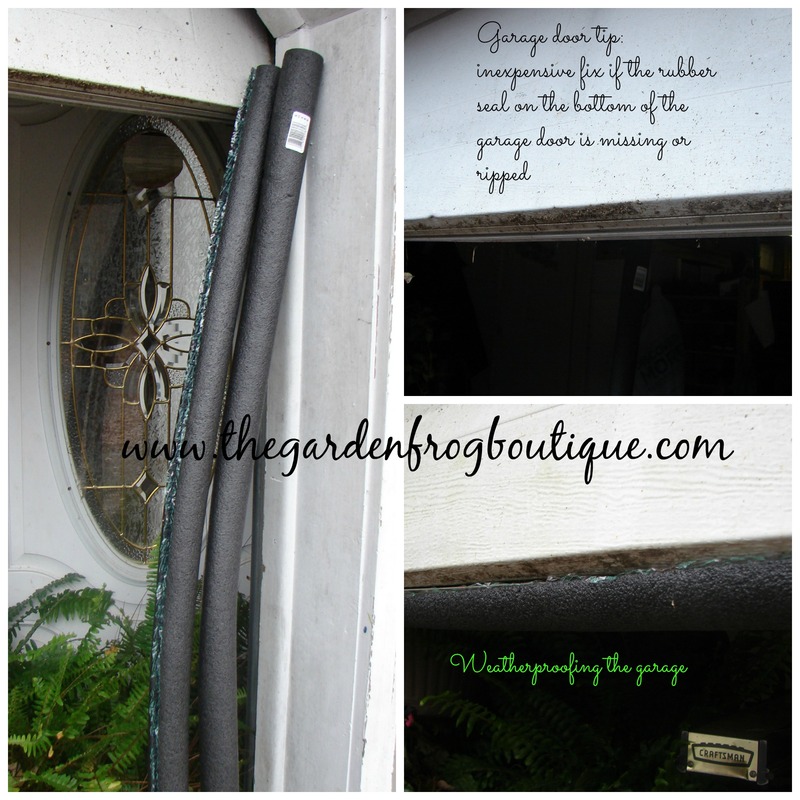 If your door is as beat up as mine, then this fix might help you seal off most of the drafts. What is great about this garage door ‘hack’ is the you can run to your local home store and buy these split pipe insulator pieces for around $2 a piece! Isn’t that better than $2 a foot for the bottom garage door seal? I have a 9′ old beat up aluminum garage door that needs a bottom rubber edge. Since I eventually want to replace the door (okay I am guilty of this thought for 8 years now), I just never got around to putting a new rubber bottom door seal on my garage door. How did I come up with this idea? Well it hit me the other day in Lowe’s when I was buying more weatherproofing stuff for my drafty house. Truth be told, I stood there staring at the box thinking what could I use these for other than pipes? and then it hit me- the bottom of the garage door! I know the rubber edge for the garage door is about $20 or so but my door is so bad that I would wrestle and fight with trying to get the rubber edge to work. I wanted an easy fix and one that would take me 10 minutes or less. I found it. If you watch my video you will see how easy it really is to do this $4 hack (which on my door has blocked about 95% of the air from coming in. I hope you check out my other weatherizing tips too. Note: This has not proven to work long term so I cannot recommend this as a permanent fix. 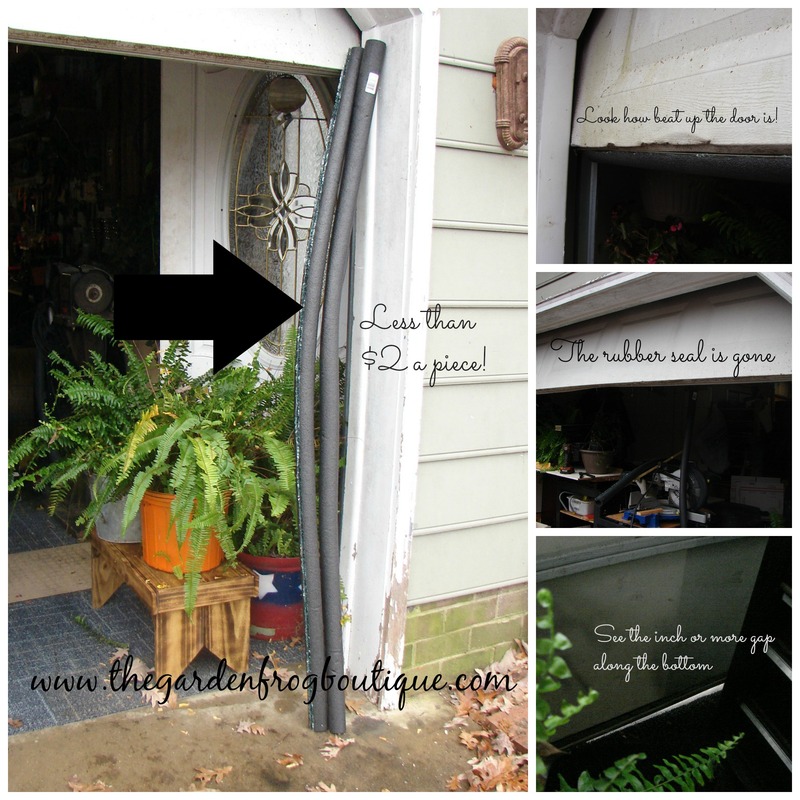 This seems like a great idea if you need to patch up your garage door for a bit. Like you said, it’s only temporary, but since you want to replace your garage door soon I don’t blame you for not wanting to spend a lot on repairs. If I ever have any problem with the insulation on my garage door, I’ll definitely be trying this out. Thanks for the tip!